The Toronto Raptors is the best team in the East last season and this season, they made a lot of big changes trading their franchise player to another franchise player. The Kawhi Leonard and DeMar DeRozan trade is one of the biggest trades in the league this past off-season and the Raptors are looking to be in the right direction. The Raptors are now the hottest team in the league and the best team with only 4 losses and 19 wins. They are in the top of the NBA and can be even better. That is what Kawhi Leonard is thinking. The Raptors can be even better than they are right now. The Boston Celtics is expected to be the best team in the Eastern conference after their top 2 players recovered from injuries and now are playing and healthy. But man, the Celtics are really struggling and couldn’t find the right mix. They are now at the 6th seed with a 12-10 record. 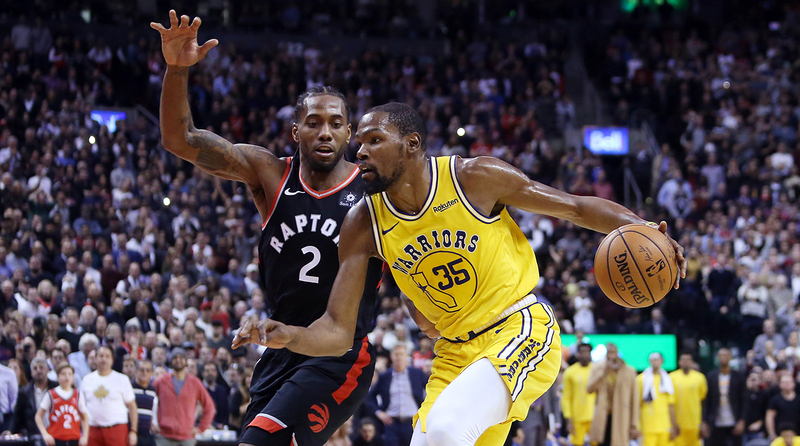 The Raptors is now the favorites to win in the East and compete for the championship against the Golden State Warriors. Recently the Warriors and the Raptors have their battle and Klay Thompson stated that their match against the Raptors might be a preview of the Finals in June. That’s a big statement but when you think about it, it’s almost a sure thing. The Warriors might be struggling right now as Steph Curry, Draymond Green and DeMarcus Cousins is out because of an injury but when they become healthy, they will surely eat up any team. Kawhi Leonard said in an interview that Toronto has a lot of potential and can still improve. He said that the ceiling is still high for them and Kyle Lowry is the man who is leading them to victories. He said that when he finally learns their system and get used to it, he can help Kyle Lowry more and could give him some breathing time to carry the load off of him and put it in Kawhi’s shoulder. I believe in what Kawhi Leonard is stating. I think the Raptors are still figuring it out and still learning the process of utilizing their new guys. And in that process, they are already looking good so when the time comes that they figure it out, the Raptors would definitely become something and will have a serious shot at Golden State in the Finals.